Kissonerga village is a very good holidays destination for many reasons. It combines green surroundings, beaches, sightseeing, history, many good restaurants and bars to dine out. There are also many excellent choices when it comes to holiday accommodation. Hotels, hotel apartments and holiday villas for every taste and every pocket. Try these suggestions, one each day, to make your holidays more enjoyable and memorable. There are many small yet very beautiful beaches at Kissonerga. Some of them are too small and isolated to name, but if you just walk by the sea you will definitely find your spot to enjoy your swim and sun bathing in total privacy. In addition, there are at least three beaches in Kissonerga to visit. It is located under the village, near the Atlantica Beach hotel. Surrounded by rocks, the water where you swim is protected and almost always calm. There is a small sandy beach. If you stay in the village, it is a short walk, about 20 minutes, through wonderful green surroundings. Try this little beach at least once. Another small beach, not very well known. The nearest place to this beach, easy to find, is the Queens Bay hotel. On the main road to Coral Bay, it is about where the Crazy Spoon restaurant is. This is the biggest and most well known beach of Kissonerga. It is next to the main road, half the way between Kissonerga and Coral Bay. This is a very long beach with small pebbles and areas of fine sand. There is an organized municipal beach, with free car parking and a beach bar, the Sea You beach bar which is very popular and a nice place for a refreshment or a snack. Potima Bay beach is not crowded, but if you wish more privacy, you will find a private area for your bath by just walking 100 - 200 meters from the organized beach. Dare one day to walk from Kissonerga to Coral Bay, stop for a drink at Sea You beach bar. You will find yourselves walking with many others. You can walk as much as you like, then take the bus. Return back there is a steep uphill, better take the bus. For this excursion you will need a car as it is not easy to go with the bus. It takes two to four hours to complete. It is a combination of history and culture (the monastery), swim in a small water fall (Adonis baths) and wine tasting at the Fikardos winery. See the Monastery, the Engleistra and the museum of the monastery. There is dress code. At the parking place visit the shop with traditional products and have a coffee at the coffee shop. Quiet place covered by trees. As you leave, 100 meters from the monastery parking on your right hand side, cats sanctuary. This is a private place, there is entrance fee. Not one of my favourites, but many people like it and enjoy their visit. 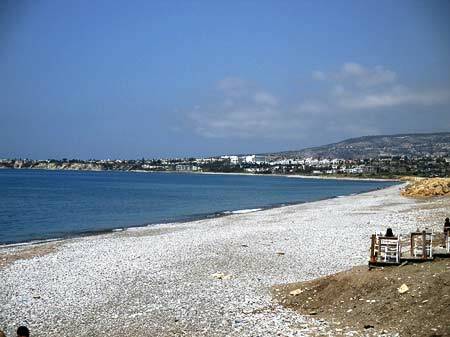 Swim at Kato Paphos Municipal Baths beach. Also at the nearby beaches of SODAP beach and Alykes beach. All blue flag beaches. 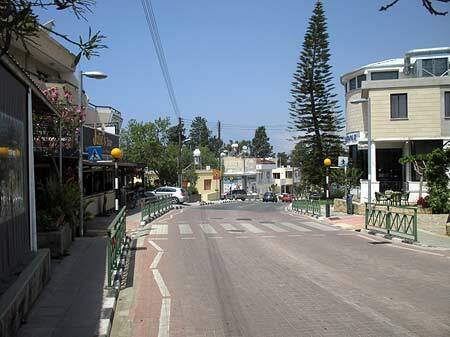 Usually we can offer you a good package deal for your holidays in Cyprus. Give us some basic details for a free, no obligation offer.